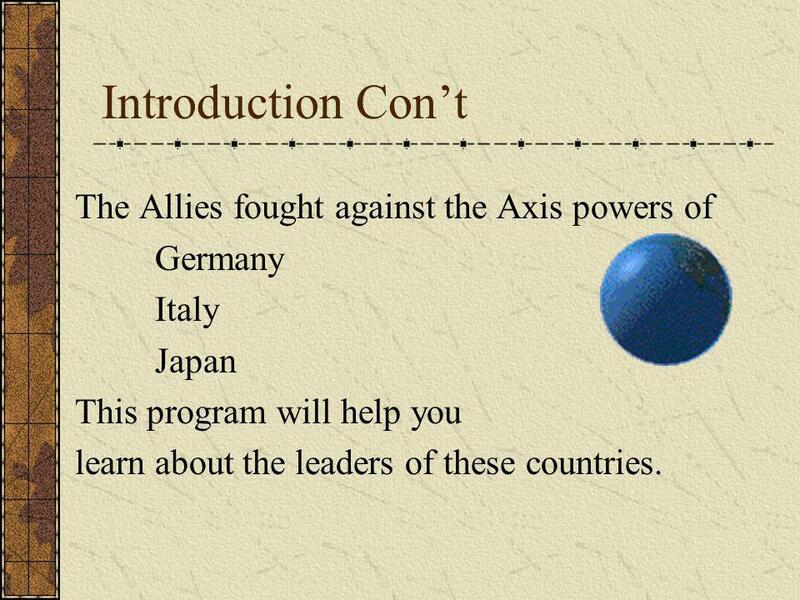 3 Introduction Cont The Allies fought against the Axis powers of Germany Italy Japan This program will help you learn about the leaders of these countries. 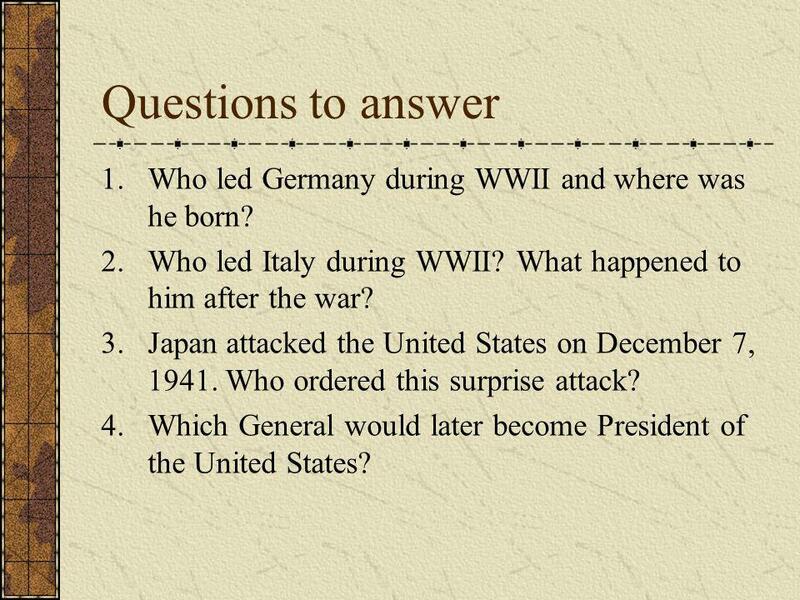 14 Questions to answer 1.Who led Germany during WWII and where was he born? 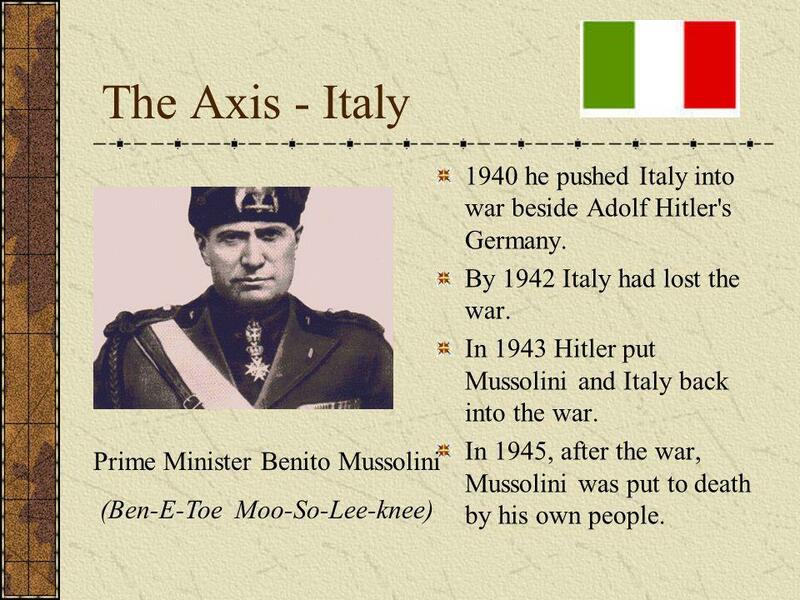 2.Who led Italy during WWII? What happened to him after the war? 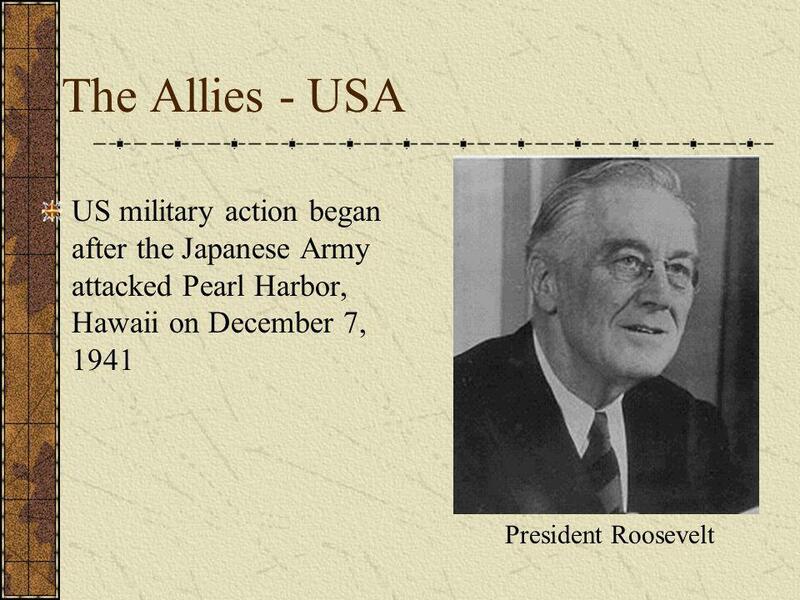 3.Japan attacked the United States on December 7, 1941. Who ordered this surprise attack? 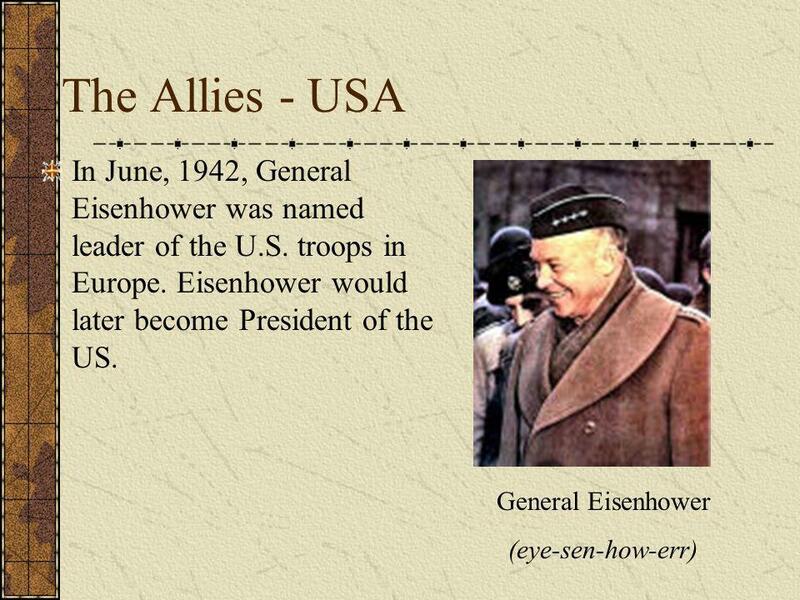 4.Which General would later become President of the United States? 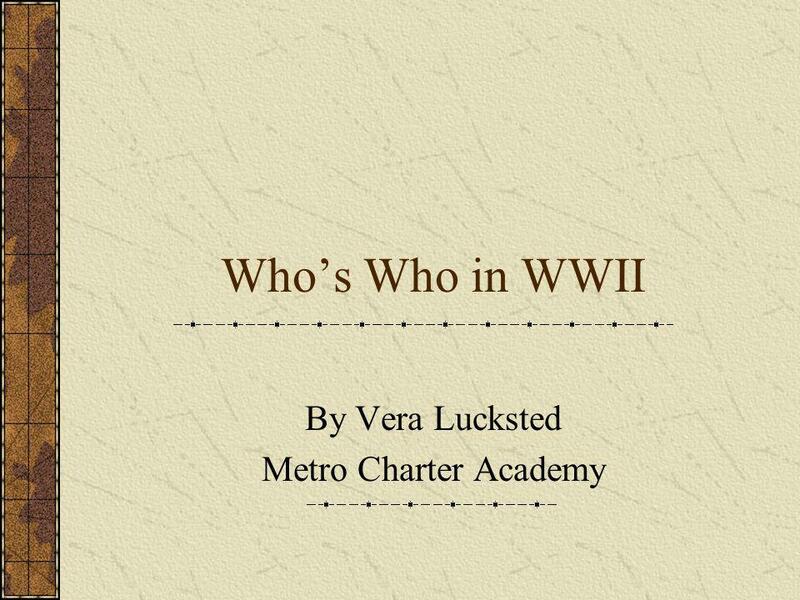 Download ppt "Whos Who in WWII By Vera Lucksted Metro Charter Academy." 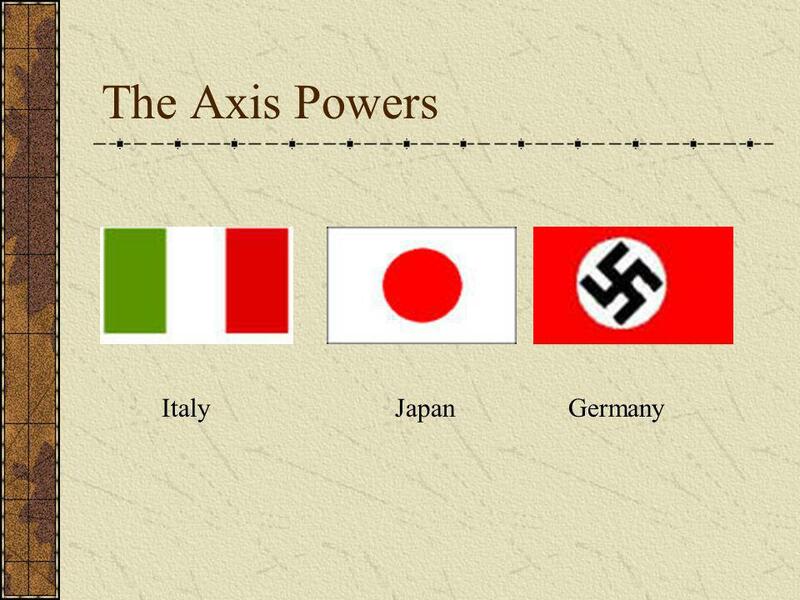 World War II Axis vs. 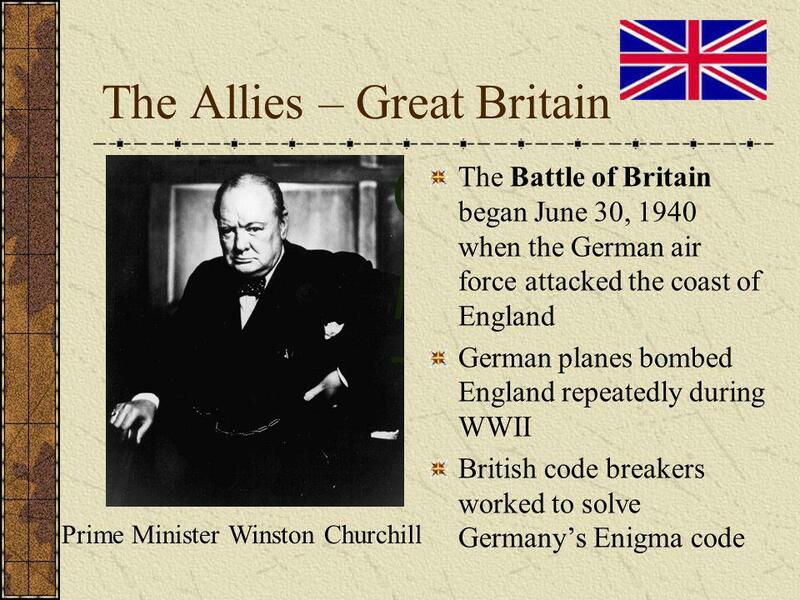 Allies Headed Towards War Hitler protested the fairness of the Treaty of Versailles. 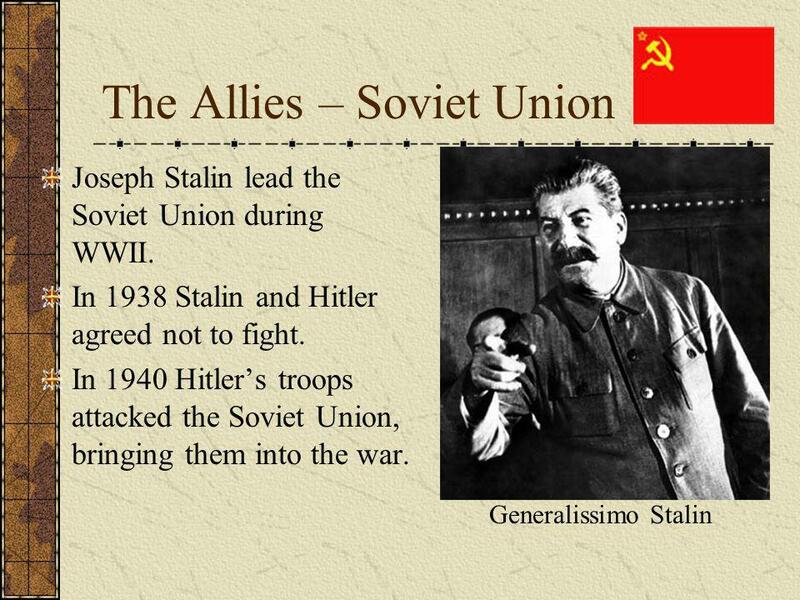 He created a new air force, Luftwaffe. 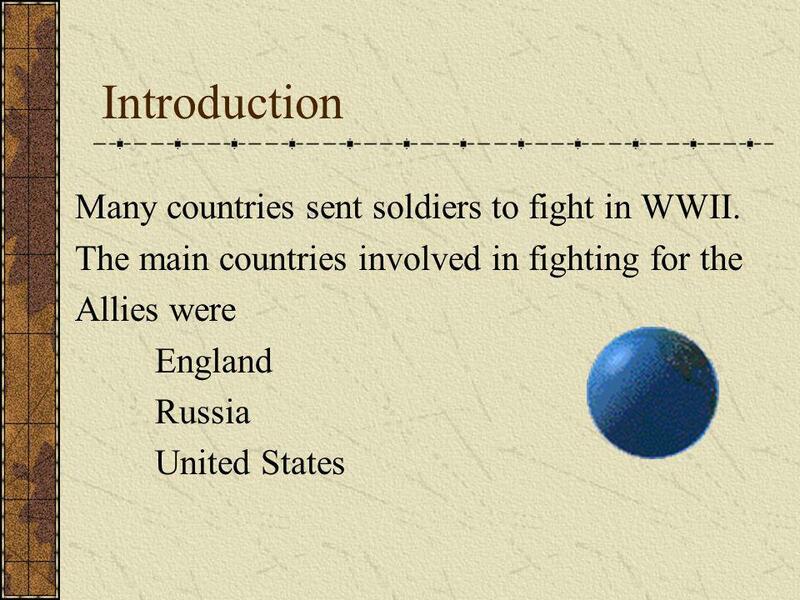 World War II 6 th Grade Social Studies. 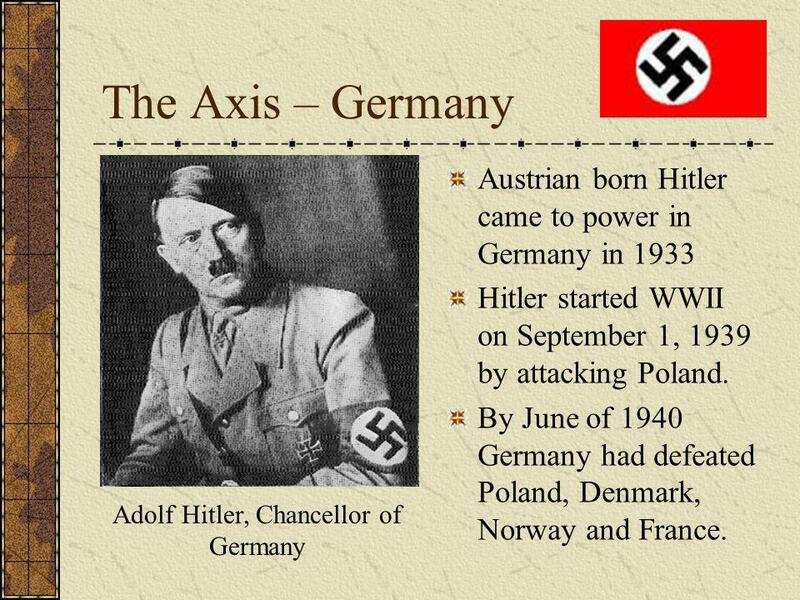 Germanys Problems Germany faced many problems after WWI. It lost land and the industry and farms had been destroyed. 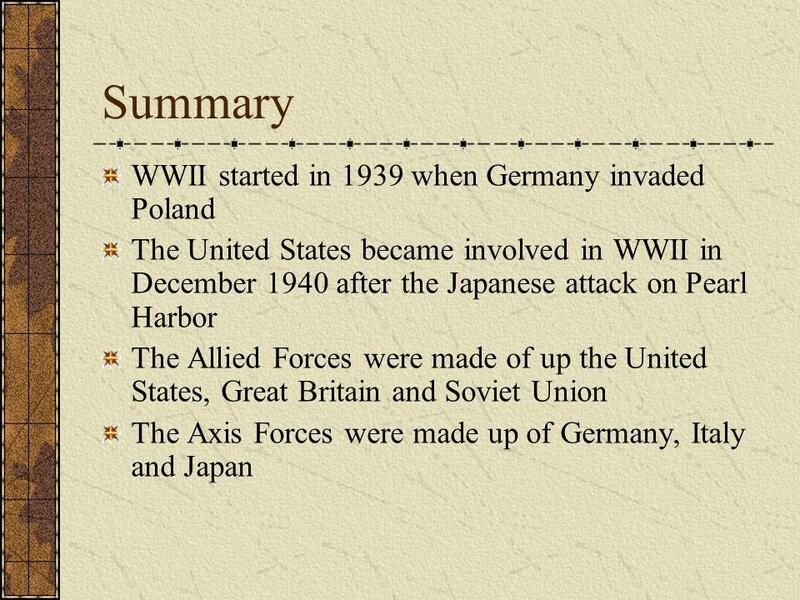 World War II An Introduction. 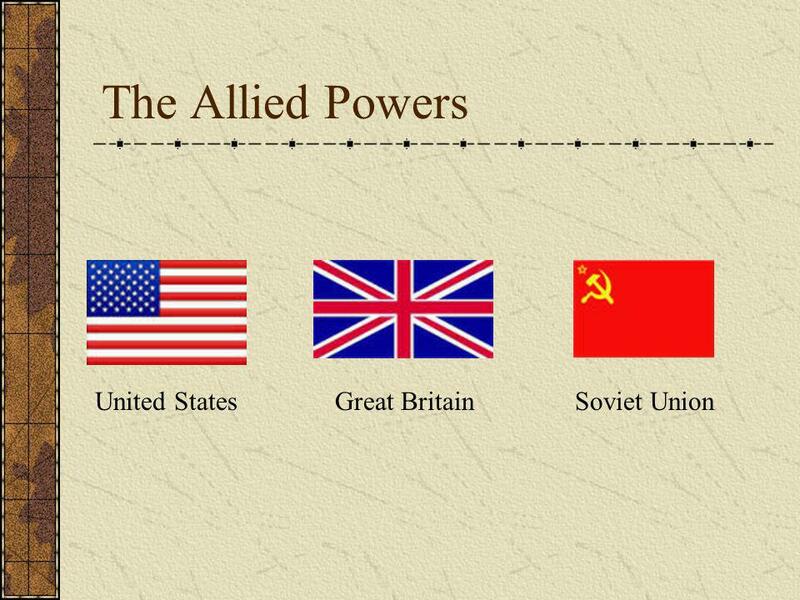 Causes of WWII W : World War I and the Treaty of Versailles A : Appeasement R : Rise of Totalitarianism. 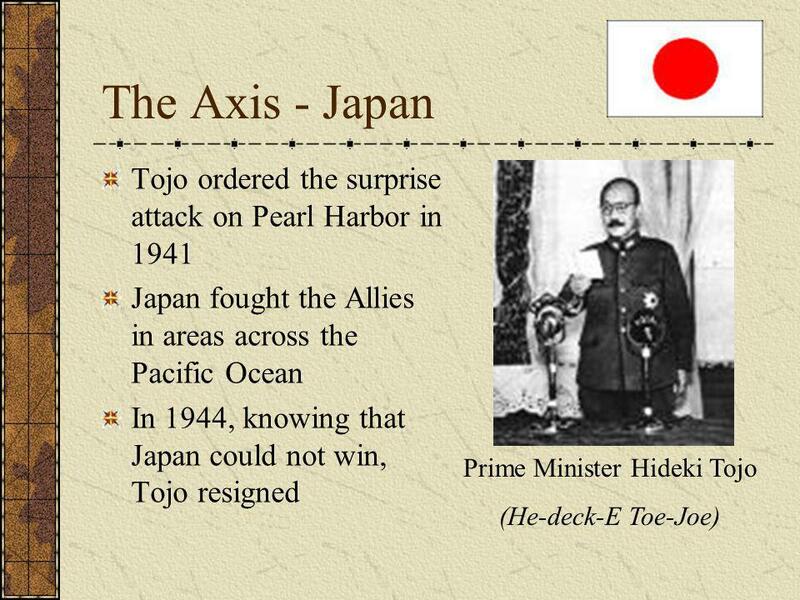 Unit 4: Chapter 7 World War 2 Begins.